Lets you create graphics profiles. It will detect your current settings, and let you Apply new that you create with the tool. It also lets you apply GUI colour settings and select a controls binding. 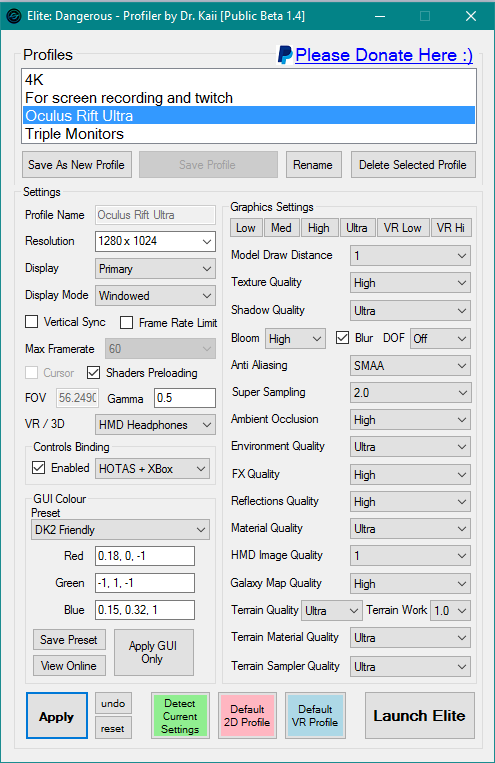 Let's you change any and all graphics-related settings, and will be updated to include new ones as they come. Auto checks for updates every 7 days. Contains two default profiles (which can be edited) for quick application. The detector updates itself live!